Don’t implant in implantable cardioverter-defibrillator (ICD) for the primary prevention of sudden cardiac death in patients with New York Heart Association (NYHA) Functional Class IV who are not candidates for either cardiac transplantation, a left ventricular assist device as destination therapy or cardiac resynchronization therapy (CRT). Because the explicit goal of primary prevention of sudden death with an ICD is the prevention of death due to life-threatening ventricular arrhythmias in patients with an otherwise reasonable expectation of survival, current clinical professional society guidelines recommend against (Class III, contraindicated) implantation of an ICD when there is no reasonable expectation of survival from a non-cardiac illness for at least one year. Don’t ablate the atrioventricular node in patients with atrial fibrillation when both symptoms and heart rate are acceptable controlled by well-tolerated medical therapy. Atrioventricular node ablation and pacemaker implantation may provide benefit in some patients when rate and related symptoms cannot be controlled by medication therapy,(Class IIa, indicated) or when there is concern for possible tachycardia-induced cardiomyopathy (Class IIb, may be considered). However, according to current professional society clinical guidelines, the risks of AV node ablation outweigh the benefits among patients with no symptoms and who have appropriate rate control with well-tolerated medical therapy. The Heart Rhythm Society is the international leader in science, education and advocacy for cardiac arrhythmia professionals and patients, and the primary information resource on heart rhythm disorders. Its mission is to improve the care of patients by promoting research, education and optimal health care policies and standards. 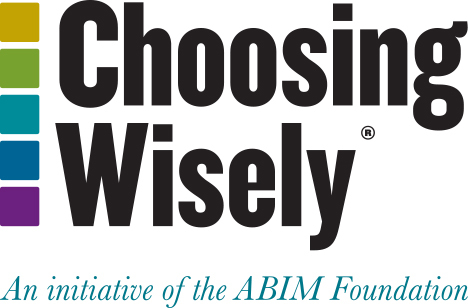 Representing more than 5,800 heart rhythm professionals in more than 70 countries around the world, HRS is pleased to partner in the Choosing Wisely® campaign to help ensure that people living with heart rhythm disorders receive optimal care and improved quality of life. The Society also is a leader of the “Apples and Oranges” Sudden Cardiac Arrest Awareness Campaign aimed at sharing the differences between SCA and heart attack and the “AFib Feels Like” Awareness Campaign aimed at helping people understand the symptoms, risks and treatment options for Atrial Fibrillation, the most common heart rhythm disorder. For more information, follow HRS on Twitter, Facebook or LinkedIn. The Heart Rhythm Society (HRS) asked its standing Quality Improvement Subcommittee, comprised of twelve experienced physicians and allied professionals, to recommend five procedures that should not be performed or should be performed more rarely and only in specific circumstances. The recommendations were identified based on existing appropriate use criteria and guidelines. The HRS Health Policy Committee then reviewed the five recommendations before sending the list to the HRS Board of Trustees for final review and approval. HRS’s disclosure and conflict of interest policy can be found at http://www.hrsonline.org/About-HRS/Heart-Rhythm-Society-Governance/Disclosure-Policy#axzz2ILTZwIkZ. Epstein AE, DiMarco JP, Ellenbogen KA, Estes NA 3rd, Freedman RA, Gettes LS, Gillinov AM, Gregoratos G, Hammill SC, Hayes DL, Hlatky MA, Newby LK, Page RL, Schoenfeld MH, Silka MJ, Stevenson LW, Sweeney MO, Smith SC Jr, Jacobs AK, Adams CD, Anderson JL, Buller CE, Creager MA, Ettinger SM, Faxon DP, Halperin JL, Hiratzka LF, Hunt SA, Krumholz HM, Kushner FG, Lytle BW, Nishimura RA, Ornato JP, Page RL, Riegel B, Tarkington LG, Yancy CW; American College of Cardiology/American Heart Association Task Force on Practice Guidelines (Writing Committee to Revise the ACC/AHA/NASPE 2002 Guideline Update for Implantation of Cardiac Pacemakers and Antiarrhythmia Devices); American Association for Thoracic Surgery; Society of Thoracic Surgeons. ACC/AHA/HRS 2008 guidelines for device-based therapy of cardiac rhythm abnormalities: a report of the American College of Cardiology/American Heart Association Task Force on practice guidelines (writing committee to revise the ACC/AHA/NASPE 2002 guideline update for implantation of cardiac pacemakers and antiarrhythmia devices) developed in collaboration with the American Association for Thoracic Surgery and Society of Thoracic Surgeons. J Am Coll Cardiol. 2008 May 27;51(21):e1–62. Fuster V, Rydén LE, Cannom DS, Crijns HJ, Curtis AB, Ellenbogen KA, Halperin JL, Kay GN, Le Huezey JY, Lowe JE, Olsson SB, Prystowsky EN, Tamargo JL, Wann LS, Smith SC Jr, Priori SG, Estes NA 3rd, Ezekowitz MD, Jackman WM, January CT, Lowe JE, Page RL, Slotwiner DJ, Stevenson WG, Tracy CM, Jacobs AK, Anderson JL, Albert N, Buller CE, Creager MA, Ettinger SM, Guyton RA, Halperin JL, Hochman JS, Kushner FG, Ohman EM, Stevenson WG, Tarkington LG, Yancy CW; American College of Cardiology Foundation/American Heart Association Task Force. 2011 ACCF/AHA/HRS focused updates incorporated into the ACC/AHA/ESC 2006 guidelines for the management of patients with atrial fibrillation: a report of the American College of Cardiology Foundation/American Heart Association Task Force on practice guidelines. Circulation. 2011 Mar 15;123(10):e269–367. The Cardiac Arrhythmia Suppression Trial (CAST) Investigators. Preliminary report: effect of encainide and flecainide on mortality in a randomized trial of arrhythmia suppression after myocardial infarction. The Cardiac Arrhythmia Suppression Trial (CAST) Investigators. N Engl J Med. 1989 Aug 10;321(6):406–12.